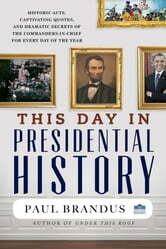 For reference librarians, journalists, social media managers, history buffs, and more, a treasure trove of information about the U.S. presidency for each day of the year from the popular, award-winning White House journalist Paul Brandus. The Atlantic calls Brandus "one of the top Washington insiders you should follow on Twitter" (@WestWingReport). 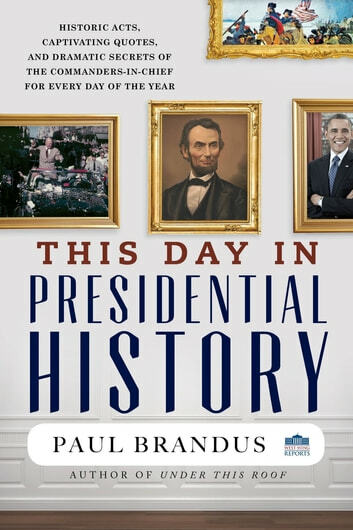 For each of the 366 days of the year, Brandus offers little-known, fascinating facts; historical anecdotes; and pithy quotations from and about the 45 presidents of the United States—from George Washington to Donald Trump. This Day in Presidential History will surprise its readers with the inside information that Brandus has uncovered in his years on the White House beat. Brandus's previous book, Under This Roof: A History of the White House and Presidency (Lyons Press, 2015), was one of *Publishers Weekly'*s "25 Christmas Recommendations."